Were You or Someone You Love Seriously Injured By a Dog Bite? The sad reality is dog bites happen all the time. These bites can cause serious injuries, especially if it’s a bite to the face, where nerve damage and scarring can be permanent. 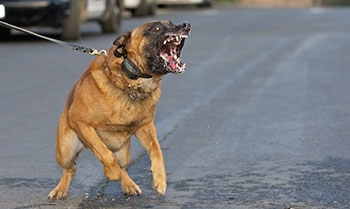 If you have been bitten by a vicious dog in Washington and suffered serious injuries, you may need the help of the experienced dog bite attorneys at Max Meyers Law to get your medical bills paid and fair compensation for all your damages. Being attacked by a dog often results in emotional trauma along with physical injuries. These emotional damages can be long lasting and just as difficult or harder to recover from as physical injuries, especially for children. Seek the assistance of experienced dog bite attorneys at Max Meyers Law to pursue proper justice from negligent dog owners. If you or a loved one has been injured by a dog bite in Washington, it’s important to protect your rights. An investigation often is needed sooner than later – eye witnesses are often critical in dog bites cases. Max Meyers Law has the experience and expertise necessary to investigate your dog bite case and determine who may be responsible for your injuries. Call today at 425-399-7000. Who’s Responsible When a Dog Bites You? A dog owner is responsible if the attack happened in a public area or private property where the victim was an invited guest. There are exceptions to this general rule and the advice of an experienced dog bite attorney should be obtained regarding the circumstances of your case. One exception is if you provoked the dog to attack. Insurance companies love to use this defense even if not appropriate. Another common defense is that you were trespassing on the property where you were bitten. Having an experienced attorney do a proper investigation after a dog bite can often make a big difference in the success of your case. The more serious the injuries the more likely the help of an experienced dog bite attorney will make a big difference in getting fair compensation for ALL damages suffered – physical and emotional. If you suffer a serious infection or need reconstructive surgery, it’s time to talk to a dog bite attorney. 20% of dog bites become infected. Children ages 5 to 9 have the highest rate of dog bite related injuries, many to the face that require reconstructive surgery. If you don’t know how the medical bills are going to be paid or whether there’s any insurance available to cover your injury claim, it’s time to call a lawyer. This can be difficult if it’s a friend or even relative you don’t live with; however, homeowner’s insurance often provides coverage for these claims. We can help figure out a way to get your case handled fairly while trying to maintain the relationship with your friend or family member. We at Max Meyers Law are happy to provide a free case review if you or a loved one has suffered serious injuries after being bitten by a dog or other animal. Call our office today at 425-399-7000 or use the private contact form on this page to have your case reviewed by one of our attorneys.